When Do You Need to Replace Your Shocks and Struts? Posted September 18, 2018 by Ed Fawcett Jr & filed under Auto Repair Tips, Services. Does your vehicle provide you with an unusually bumpy ride every time you get behind the wheel? This is the easiest way to tell you need to replace your car’s shocks and struts. 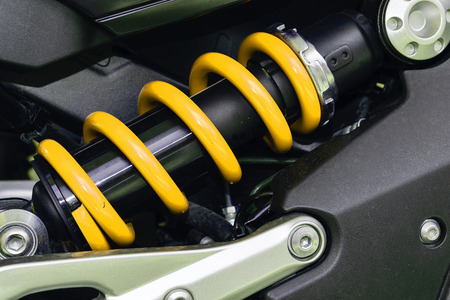 Once the shocks and struts start to go, your car’s suspension will move all over the place when you’re driving. You’ll feel every bump you drive over and you’ll likely be uncomfortable the whole time. Here are a few other signs of problems with your car’s shocks and struts. If your vehicle is getting harder and harder to turn, it could be because your shocks and struts have gone bad. Your steering wheel will often feel very stiff and tough to turn when shocks and struts are a problem. You might also hear strange sounds coming from underneath your car when you turn your steering wheel. These are all clear-cut signs that you likely need to replace your shocks and struts. Do your tires look like they’re wearing out in a weird way? Suspension problems can cause cupping to take place on the surface of tires. You’ll spot this right around the edges of your tires, and it can make your tires very unsafe. If you ever see strange wear patterns on your car’s tires, you should have your vehicle’s shocks and struts inspected to see if they’re causing them. When you’re experiencing issues with your shocks and struts, your car will often compensate for it in other areas. For example, you might start to notice problems when you hit your brakes. If you ever feel like your vehicle is lunging forward when you brake, that’s an indication that your shocks and struts might be worn out. The last thing you want is for your shocks and struts to cause problems with your brakes, so consider having them replaced sooner than later. At AV Bumper to Bumper, we’re experts when it comes to diagnosing issues with vehicles. If you suspect your shocks and struts might need to be replaced, allow us to take a look at them. We can also perform other auto repair and maintenance services. Call us at 661-949-1999 today to schedule an appointment.